The Undertones emerged from Derry in 1976, the result of five friends learning how to play basic rock and roll. Even by the standards of that decade Derry was not the rock and roll capital of anywhere. With no live bands worth watching,they learned by listening to mail order records, reading one of the few copies of NME that made it to Derry but most of all from listening to John Peel’s wonderful show on BBC Radio One. Practicingin their bedrooms eventually led to the band recording ‘Teenage Kicks’ in 1978 on Terri Hooley’s Good Vibrations label in Belfast. The legendary DJ John Peel received a copy and liked it so much he played it twice in a row on his radio show. The Undertones signed with Sire Records and ‘Teenage Kicks’ was re-released, resulting in the band’s first appearance on Top Of The Pops. Over the next five years, John O Neill, his younger brother Damian, Feargal Sharkey, Billy Doherty and Michael Bradley crafted further numerous punkpop gems such as `Here Comes The Summer`, ‘Jimmy Jimmy`, `My Perfect Cousin`, `You’ve Got My Number (Why Don’t You Use It)’ and ‘Wednesday Week’. They also recorded four highly acclaimed LPs. Indeed, they almost enjoyed the life of professional musicians. In 1983 Feargal Sharkey left the band to pursue a solo career and the remaining members decided to call it a day. The Undertones were to remain silent for the next sixteen years. After much consideration the band released an album of new songs called `Get What You Need‘, which was critically acclaimed by Q magazine, Uncut, Rolling Stone and Hot Press. Songs like ‘Thrill Me’, ‘I Need Your Love The Way It Used To Be’ and ‘Everything But You‘ showed that the art of writing short, sharp songs had not been lost over the previous two decades. In 2007 the band recorded and released another collection of pop nuggets under the title “Dig Yourself Deep” on the Cooking Vinyl label. The LP was described by Allmusic as ‚a true return to the classic sound of The Undertones’. Both ‘Get What You Need’ and ‘Dig Yourself Deep’ had their digital release in December 2011. The story of ‘Teenage Kicks’ was at the heart of the film ‚Good Vibrations‘ in 2012, which told the story of Terri Hooley and his record label. The band found themselves being portrayed by five young actors who did their best with the Derry accent. 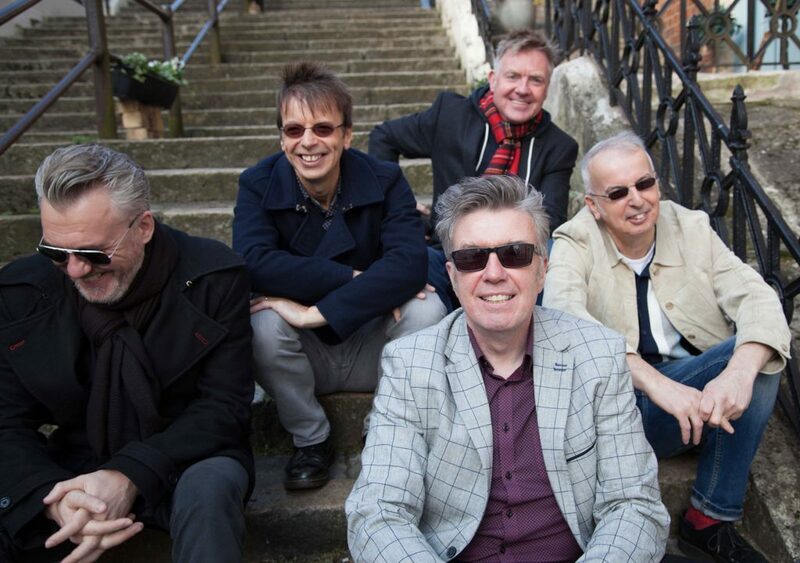 Since signing a licensing deal with Union Square Music, the four original LPs, ‘The Undertones’, ‘Hypnotised’, ‘The Positive Touch’ and ‘The Sin Of Pride’ have been available in digital and physical form, all with additional tracks and videos. The band marked Record Store Day 2013 with a 7” vinyl only release, recorded in the famous Toe Rag studio in London. A return to their punk roots, ‚Much Too Late‘ sold out the 1,000 copies before the day was out. 2015 was one of the most successful and enjoyable so far, with shows across Europe and around the UK in front of appreciative and wildly enthusiastic devotees. 2016 will mark the band’s 40th Anniversary. This will be celebrated with a variety of scorching live performances at festivals and venues throughout the world along with some very special record releases.